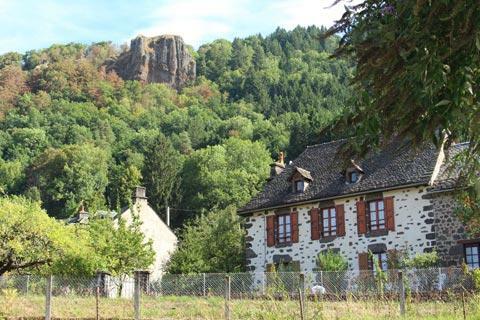 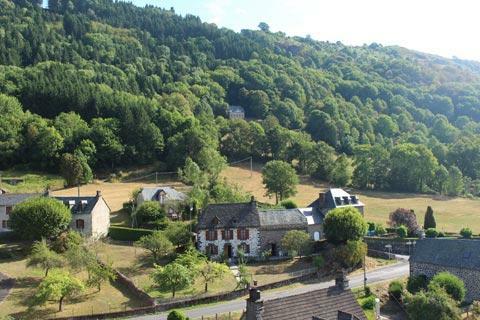 Fontanges is a small village in the Cantal department of the Auvergne, a short distance south of Salers and to the west of the Monts du Cantal, part of the Regional Natural Park of the Volcanoes. 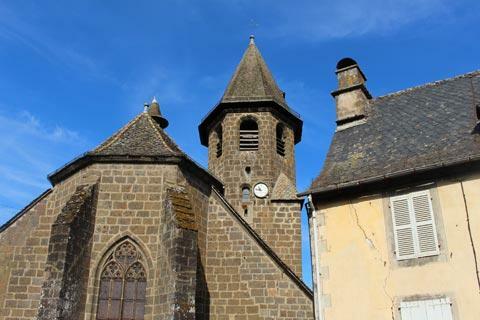 At the bottom of the village you can see the 13th century church and the town hall before walking along the row of houses that lead up the hill as well as another road that leads to the side. 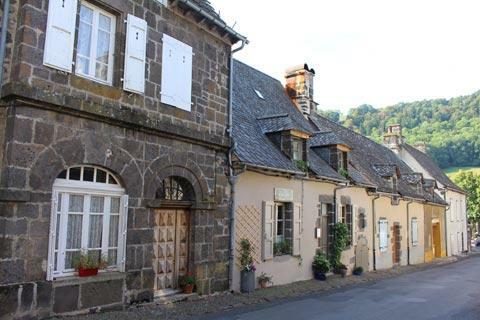 Most of the houses here are small traditional cottages although there is a more grand house rather hidden at the top of the village. 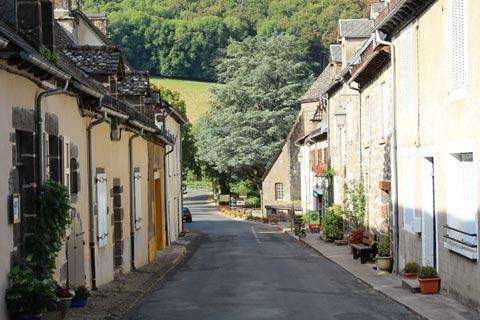 Facilities are very limited but you will find a small shop and a cafe in the centre of Fontanges. 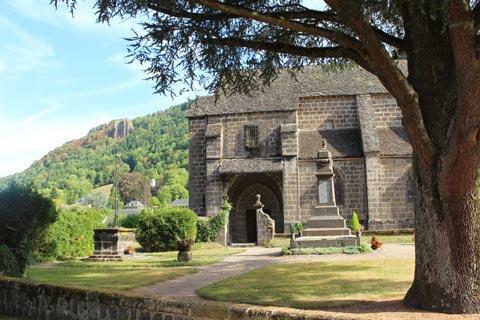 If you continue a short distance to the edge of the village you will find the Monolithic Chapel of Saint-Michel of Fontanges. 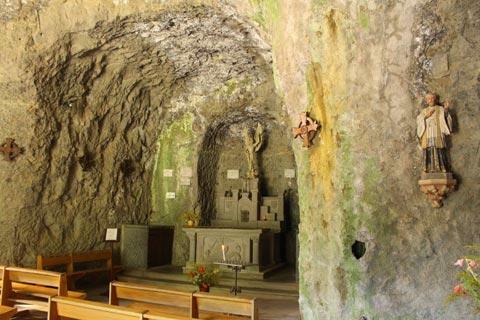 This is a remarkable chapel inside a large rock with an ornate carved entrance. 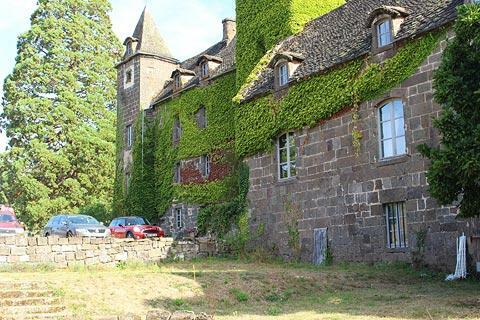 Originally a small castle stood here, which is why the chapel was built, although no trace of the castle remains today. 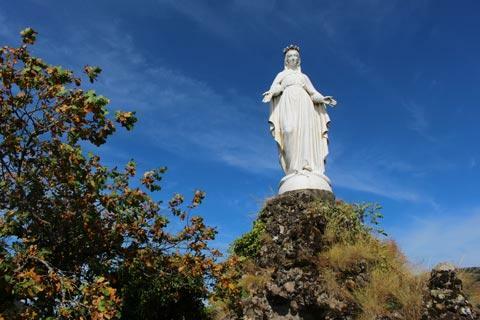 You can climb up to the statue of the Virgin on top of the rock for a view across the village. 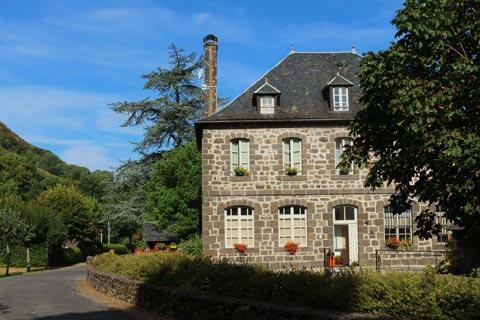 There are various ways to enjoy the volcanic countryside around the village including marked trails that leave from the parking area to explore the Val d'Aspré to the east or towards Saint-Martin Valmeroux to the west. 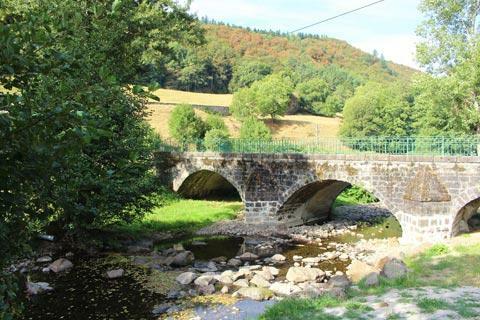 Cycling is also very popular in this region but don't be deceived into thinking it will be easy: the mountain passes are much more gentle than those in the Alps but there are a lot of them and you never have a single section of flat road! 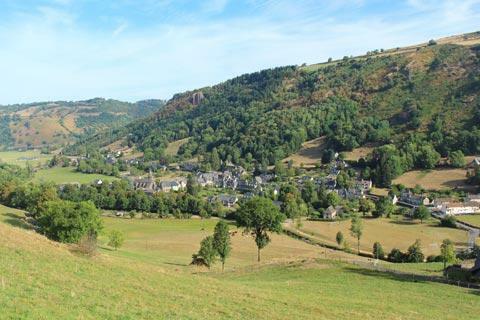 We visited Fontanges as part of a tour of this part of the Cantal that included Saint-Chamant to the west (a village even smaller than Fontanges) as well as the lovely villages of Tournemire and Salers, both classified among the most beautiful villages in France. 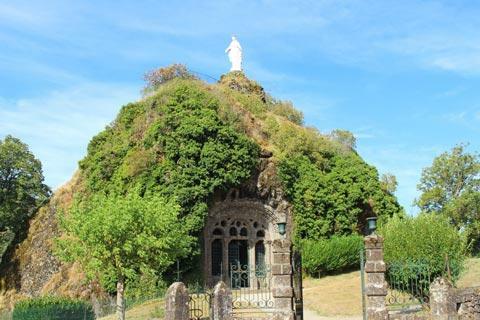 You can find more local travel ideas in the Cantal guide and the Auvergne guide.